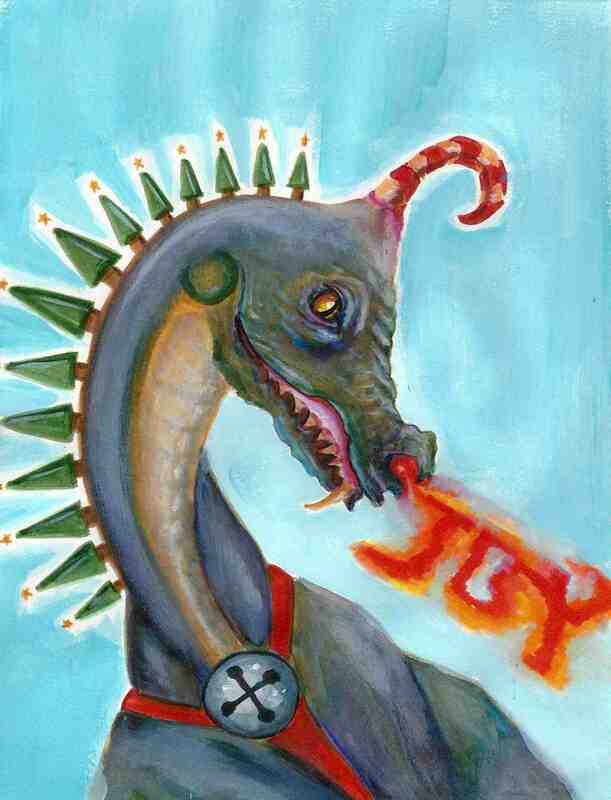 This entry was posted in My Art & Writing and tagged art, Christmas, creating, dragons, emotions, fantasy, holidays, intimacy, letters, romance, thoughts, verse, writing. Bookmark the permalink. Beautiful work AnnMarie! Happy Holidays AnnMarie! I have the feeling Santa is going to bring tons of presents for you for being so good this year! Merry to you and yours as well, my friend. Your welcome AnnMarie. Thanks AnnMarie. Well I got the best gift this year. The gift of friendship! Friendship with the lovely specializest warm hearted woman ever! Thanks AnnMarie! AnnMaie= Sweetest Woman Ever! Wow! So amazing how you wove your pigmentless words into such a powerful force. Holidragon is so special! I’d like to create a few more dragons like this one – she was fun to imagine. How wonderful. I would love to see the sleigh drawn by dragons. Now there is an inspired idea! Okay — I’m stopping my catching up with this one. Words are wonderful but your holidragon is superb!!! Love the candy cane, the Christmas tree spikes…Now this my friend is a sellable image!! (As are many of yours) My grandsons would LOVE this!! Smiling I am! Hoping I can somehow print this and send to them… Created by AnnMarie, my dear coffee friend! Love it!! Smiling I am!! Thank you, so very much. And now I’m off to PA!! !